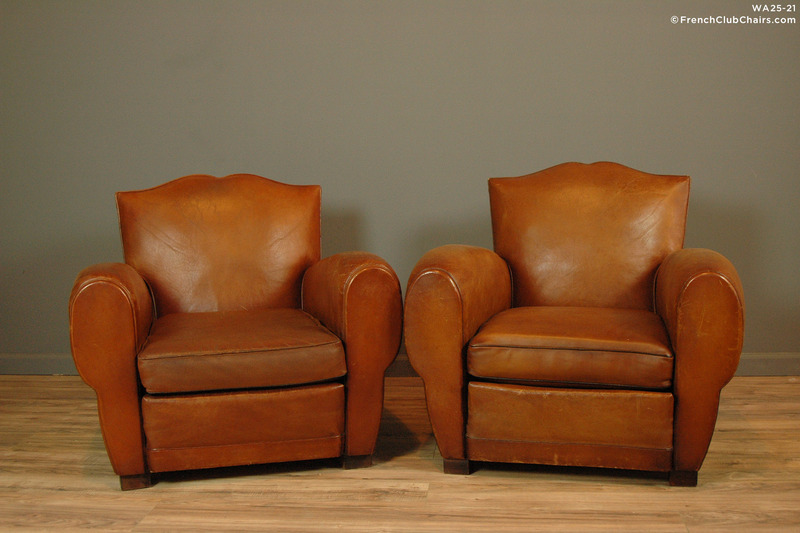 Kind of the quintessential French Club Chair, this pair is in very good overall condition. One of the cushions has been restored and the color match is quite good. They sit perfect, the bottoms have been retied 8 way as original with a new jute deck and dust cover. This is the pair and the style that charms everyone! Circa early 1950s, there is very light crazing on the arms as is age appropriate wear. Love that classic caramel color. measurements: depth-35", width-37", height-32", seat depth-23", seat width-20", seat height-16"